San Francisco is a unique city no matter how you look at it. With its hilly, foggy charm and host of world-renowned sites—the Golden Gate bridge, Alcatraz, Lombard Street, and many more—this waterfront city is a popular place to vacation, and has also been one of the fastest growing areas in the U.S. thanks in part to the tech boom. The San Francisco Bay Area includes some of the most prominent companies today—Silicon Valley or otherwise— like Google, Apple, and Facebook, to name just a few. How has this recent expansion affected the housing market over time? One popular debate when it comes to San Francisco is how it should proceed in regard to housing. Some preservationists vehemently oppose building too many new units, while others insist that it would stabilize the market by tweaking supply and demand. In 2016, “The City” topped Business Insider’s 20 Most Expensive U.S. Cities for Renters list with a median one-bedroom cost of $3,590. Outsiders may be shocked to see such a staggering price tag, and may be curious as to how San Francisco rent control affects tenants and landlords. -Landlords can only raise rent in accordance with inflation. They can petition for additional increases if they make improvements that affect the tenant capped at 10 percent, or increased upkeep costs capped at 7 percent. The Rent Board must approve these petitions. -Tenants have the right to petition the Rent Board if they can prove that the landlord does not meet the conditions of their lease agreement. Examples of this may include ignoring safety issues. According to statistics from nonprofit housing advocacy group SPUR, approximately 172,000 units in San Francisco are rent controlled. About two thirds of residents in The City are renters. What about when rent control goes wrong? While these sanctions are in place to protect tenants against sudden spikes in rent, there are loopholes that make certain areas of rent regulations difficult to predict. The Ellis Act gives landlords the right to evict tenants to “go out of business,” namely if they take all the units in a building off the market. One San Francisco resident found out how this can affect renters the hard way. Needless to say, interpreting the rent control policies in San Francisco requires wading through multiple layers of jurisdiction, exceptions, and responsibilities. 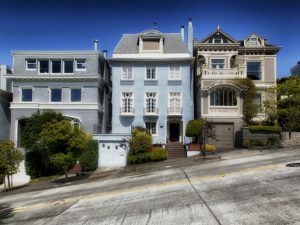 To ensure legality and avoid disputes with tenants, many landlords rely on end-to-end property management companies like Onerent to navigate the rental market in San Francisco. It can be an exciting market to get involved in, but takes extra care and research to list rental properties, communicate with tenants, and collect proper rent payments, and everything else it takes to secure profitability in such a competitive market. While challenges facing the housing market in The City won’t resolve themselves overnight—some people blame tech transplants for the tough market, while others continue to hold protectionists and their unwillingness to allow new growth responsible—San Francisco is still home to many vibrant communities and shows a lot of promise for the future. If you’re a landlord or tenant in the Bay Area, use all the resources at your disposal to conduct proper research and make sure that you know your rights and responsibilities. Do you live in a rent controlled city? How does rent control work there?